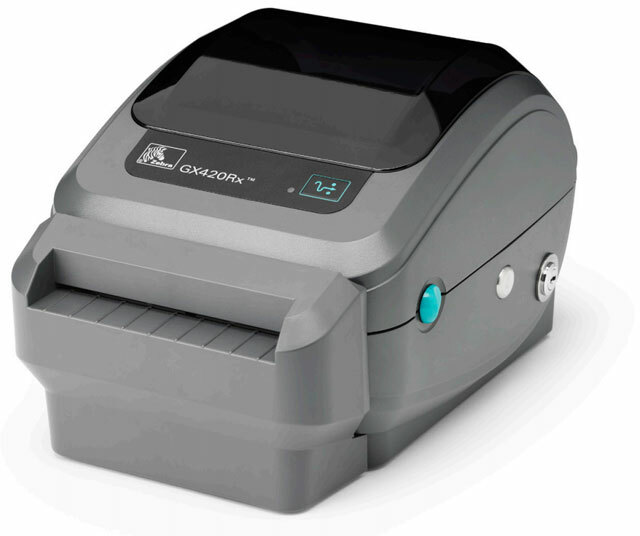 Zebra has expanded on their desktop thermal printer line with the new GX420Rx. Designed specifically for healthcare applications, the GK420Rx has been well tested across over 2,000 locations to ensure seamless compatibility with any hospital management software. It also complies with the Centers for Medicare & Medicaid Services (CMS) Tamper Resistant Prescription Law making it a great choice for pharmacy and dispensary environments. Featuring multiple locking stations, Zebra’s GX420Rx printer contains an integrated lock to secure the prescription paper inside, along with a Kensington lock slot that enables you to attach the printer to a desk or table. Without taking up additional printer trays, GX420Rx is ideal for any hospital pharmacy, ambulatory center or outpatient clinic that is interested in direct, secure prescription printing. For assistance finding the right Zebra printer for your healthcare environment, contact us at BarcodesInc.